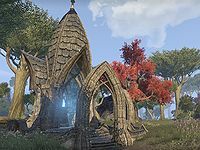 Despite its name, Phaer Catacombs is not the village cemetery, as the High Elves cremate their dead. 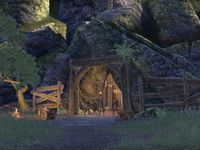 These caves are a worked-out porphyry mine, now converted to a burial site for those foreign workers the Altmer bring in to do their menial labor. 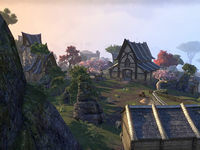 Phaer is a small town in the center of Auridon, just south of the town of Mathiisen. The town has recently been the center of an outbreak of a terrible disease. Possibly infected townspeople have been quarantined within Phaer's ancient catacombs. A lorebook, Ancient Scrolls of the Dwemer II, can be found near the wayshrine. Phaer Objective: Discover the secret of the plague-ridden town. Notable items here include the already mentioned lorebook, Hendil's Journal, Letter from Camarino, Letter from Lenwe, Letter from Minique, and Tancano's Journal. 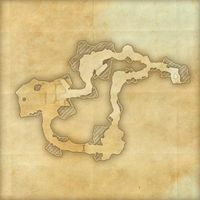 Phaer Wayshrine is located just southwest of the village, near the road leading to Soulfire Plateau. This page was last modified on 20 February 2019, at 03:15.